On TV – I have watched NOTHING from this week or last week – WHY do you ask?? The Olympics – I have always loved the Olympics. My earliest memory of the Olympic games came when I was in first grade , February of 1980, when the U.S. men’s hockey team won. I do not remember the game but I do remember all of the talk that came after it. This made me start asking a lot of questions “What were these Olympics?” Then came summer and USA boycotted the games in Moscow. More questions. I clearly remember having a conversation with my mother about the boycotting and feeling badly for the athletes who couldn’t go. It was the summer games of 1984 in Los Angeles that really began my love affair with the Olympics. Ever since then, I have been glued to my TV set every four years. So despite NBC driving me completely crazy with their coverage and spoilers (Way to go showing a commercial for the TODAY show with gold medal winner Missy Franklin RIGHT BEFORE you aired the race) – I have still loved watching the games. I have managed to stay unplugged from the internet during the day – so when I watch in the evening I am enjoying the thrill of the games as if they are live. Gymnastics, diving, tennis, soccer, beach volleyball, swimming – all have had spectacular athletes fulfilling their dreams and playing hard. On August 16, 2008, the world watched Michael Phelps make history the first time. I was in my wedding dress in my hotel room after my wedding reception! I was less dressed up this time, but Larry, Olivia, and I all watched him become the most decorated Olympian in history together on our couch! I will let you know now – I’ll be watching Track & Field next week! REAL WOMEN OF PHILADELPHIA – Guess what Jillian Harris does with Chalkboard Paint – I don’t have chalkboard paint in my kitchen but always love when I see pictures of this in magazines. I have thought that the teacher in me may feel compelled to wash the blackboard several times a day! ELLE – Genius Awards 2012 – amazing women doing incredible things, changing the world, one idea at a time. ‏@chelseahandler – Can’t the jackson family just get along until the olympics are over? 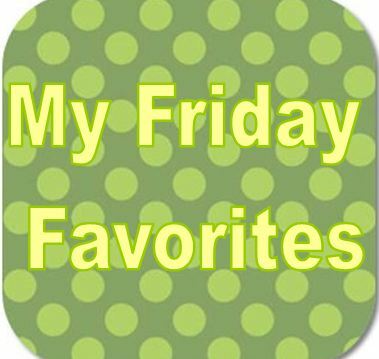 Leave me a comment and tell me about your favorites this week. I loved to hear watch you are watching, reading and cooking.